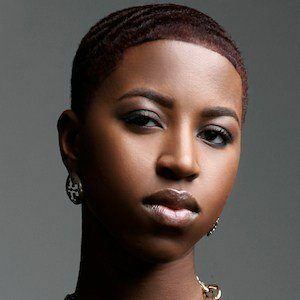 Singer, songwriter, emcee, and drummer known for her debut album Jones St. It debuted in the CMJ Top 40 Hip Hop charts. As a high school student, she was joint enrolled at the Berklee College of Music in Boston, taking various summer courses. She then attended the University of Georgia, where studied journalism full-time. She began her professional pursuit of performance while still in college, performing in Atlanta at various clubs. She traveled across China & Italy as a jazz drummer, playing with the late Dave Brubeck. She was born and raised in Boston, Massachusetts. She has shared the stage with artists such as J. Cole, Trey Songz, and Jean Grae.